Great ScrumMasters are rare. Not because it is too difficult to become a great ScrumMaster, but because there is not enough advises on how to become one. Here are a few tips on how to become a great ScrumMaster. If you find this interesting, I’ve just finished a book, The Great ScrumMaster on Amazon. Great ScrumMasters are leaders. They know how to create leaders from others. They believe in others and help them to become successful. They can create active communities and heal relationships. Don’t make them team assistants. They are coaches and facilitators. The attitude you should bring along is curiosity and respect. Be a cultural anthropologist. Your role has never been to tell others what to do, but to understand them. Be able to see them as people. Don’t be judgmental. 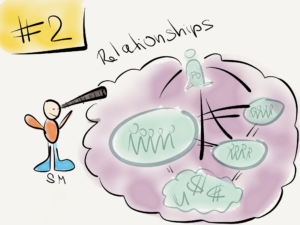 Being a ScrumMaster is like playing a strategic game. Be creative in searching different ways to approach teams and organizations. Being a ScrumMaster, you are never done with learning. Attend Agile conferences, watch videos, read books and blogs. But there is more than that. 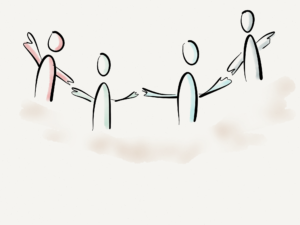 Most ScrumMasters are missing any experiences in coaching, facilitation and change management. You can start with a book, but you need to experience it and practice it. So find one class per year to attend, and continuously improve your skills in the mentioned areas. 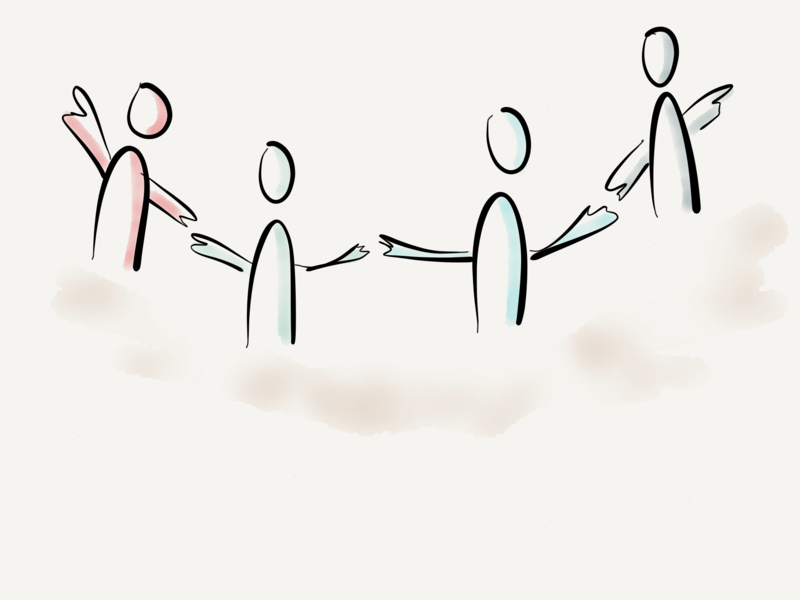 The goal of ScrumMaster is to build self-organized teams around them. 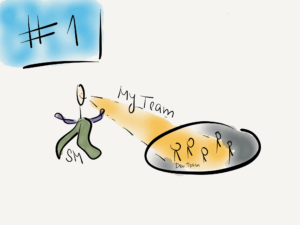 Keep it in mind when you are working with a team. ScrumMaster is not any team assistant, nor their mother to do the work instead of them and prevent them from failing. In order to learn, teams must fail sometimes. They must grow up and become self-confident, take over responsibility and ownership. 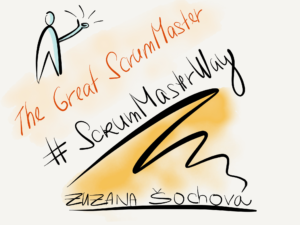 Work at all three levels of the #ScrumMasterWay concept. 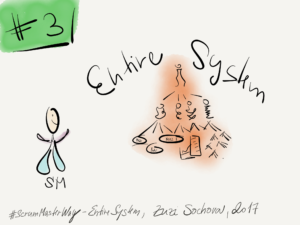 Especially the last one – ‘Entire System’ is critical to your successful great ScrumMaster journey. In order to succeed here, you need to understand the system thinking and be able to approach the entire organization as a system. 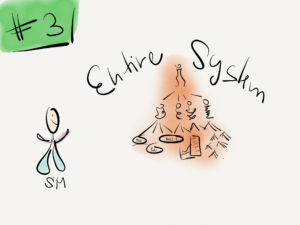 A systems view makes your role more interesting and fun. The book contains many practical examples, tips, and exercises. It’s a guidebook on how to become a great ScrumMaster. You can get the book at Amazon. I hope you will enjoy it. I’ve got a unique opportunity to be co-chair of the global Scrum Gathering Prague. It’s an event for all Agile and Scrum enthusiasts around the globe – the European Gathering usually got around 600 people. The theme was structured around the five senses to challenge agile mindset and support the Scrum Alliance’s goal of “Transforming the World of Work”. The unofficial theme was how to address complexity and how companies need to change in order to address such change and sustain the market expectations. I especially enjoyed the opening keynote from Niels Pflaeging (if you are looking for a keynote, he is definitely part of my top#10 suggestions). He’s been talking about change in the management over past few decades. He explained that Taylorism is dead. That traditional management is not applicable for current extremely dynamic and global world. The world, which is not complicated, as it used to be, but it is complex and brings us surprises every day. You can’t respond by new process or standardization. It changes so fast so it’s not possible anymore. To answer complexity you have to use new tools like System Thinking or Organization and Relationship Systems Coaching. Another surprise was lightning talks. They’ve been selected by audience using dot voting (very agile way, huh?) during the first day and they’ve been all great. Add finally I very much enjoyed Pecha Kucha format. If you never seen it it’s 20 slides auto forwarding after 20 seconds. Very nice format. Enjoyable. It forces speakers to speak to the subject and keep rhythm. And/but you have to be great speaker to make it. The last day we’ve got an openspace. It’s always full of people, and engaging, but this time I was very much amazed by how many people attended Stuart’s illustration session. He’s been running a workshop on drawing and visual facilitation techniques and he’s got more than 150 people at this openspace session. If you missed it, don’t worry we are going to invite Stuart to Agile Prague Conference 12-13Sep 2016 so you have second chance :).